Kitack Lim of South Korea has issued a message outlining his priorities as incoming Secretary -General of the IMO a post he assumed on January 1 following endorsement of his mid-2015 election by member states at the IMO Assembly in November. 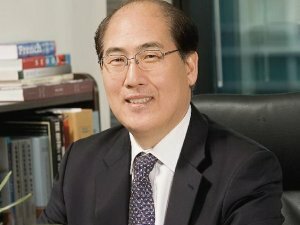 Kitack Lim of South Korea has issued a message outlining his priorities as incoming secretary -general of the International Maritime Organization, a post he assumed on January 1 following endorsement of his mid-2015 election by member states at the IMO Assembly in November. After paying tribute to his predecessor Koji Sekimizu and fellow IMO senior officials, Lim noted that IMO “currently faces an array of issues” in order for shipping to continue to meet the needs of the world “in a safe, secure and sustainable way.” These challenges could be met through what he called his “vision” of strengthening partnerships – between developing and developed countries, governments and industry, IMO Member States and regions, he said. Several “overarching objectives” will guide Lim’s own work as secretary-general, including “effective implementation of international conventions and regulations; building capacity in developing countries, particularly small island developing Sates and least developed countries; promoting IMO’s global status; contributing to shared growth for all Member States, and the efficient performance of the Secreatriat,” he said. Lim promised to “work proactively” to ensure the above objectives, following IMO’s traditional path of “consensus and cooperation among Member States”.